These days, it’s difficult to avoid interacting with a mobile app, be it at work or at home. Because of this, mobile budgets are increasing in many organizations. 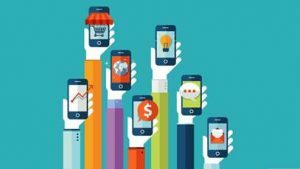 However, in others they have scaled back their total spending on developing mobile applications – even though the enthusiasm and demand for mobile Apps is there ! This is occurring because many organizations are still scratching their heads on how to find the Apps that matter (ie: have high User stickiness and have a fast ROI (preferably a few weeks or at the most several months). To remediate this problem, Leow said enterprises need to look at Mobile App Development in layers – the front-end, App integration layer, and the back-end. The front, end-user facing end, needs to be decoupled from the backend, separated by an agile API layer that will optimize mobile integration and simplify the process of connecting mobile Apps to a variety of data sources. It’s at the middle layer that organizations can adopt technology from other vendors; essentially it’s the middleware layer. This opens up opportunities to make the front-end more accessible to end-users that may not have the ability to code but still want to build their own apps. To get past these issues, enterprises are exploring options with newer mobile platforms to make Apps fast and/or contract App development with a supplier who can deliver Apps quickly (ie: within a few weeks or a month). This is important to address the need for quick gratification that is expected in mobile, provide a fast ROI, to enable the organization to be better at business innovation, as well to reduce the time and cost to make and deploy new Mobile Services. These are significant advantages – to benefit from the ” convenience of Mobile ” and the ” power of Apps “.